Daphne Caruana Galizia, a widely read and widely feared investigative journalist who exposed corruption among the political class in Malta, was killed in a car bomb there on Monday. The bomb exploded as Galizia, 53, was driving near her home in Mosta, just outside the country’s capital of Valletta. The explosion sent debris from her vehicle flying, and catapulted her body over a wall. Galizia ran a blog called Running Commentary, in which she chronicled the misdeeds and venality of powerful politicians. Earlier this year, she linked the country’s prime minister, Joseph Muscat, to the Panama Papers, the cache of documents leaked from a Panamanian law firm in 2015, which implicated many politicians in offshore tax and corruption schemes. Galizia found that Muscat’s wife, the energy minister, and the government’s chief of staff held companies in Panama, which they denied. Muscat called (and won) a presidential election early because of Galizia’s exposé. “Everyone knows Ms Caruana Galizia was a harsh critic of mine both politically and personally, but nobody can justify this barbaric act in any way,” Muscat said at a press conference on Monday. He asked the FBI to assist in the investigation of Galizia’s murder. Other politicians, leaders, and fellow journalists reacted with disbelief and horror throughout the day. 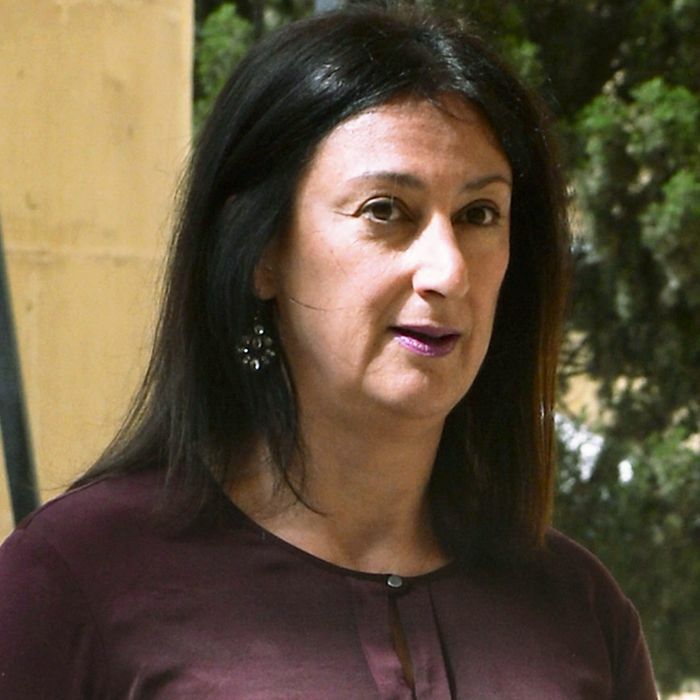 According to The Guardian, Galizia’s posts “often attracted more readers than the combined circulation of the country’s newspaper.” Her exposés about Muscat and other influential figures also earned her several libel suits over the years. There is no information on who carried out Galizia’s killing, though given the number of enemies she made, the list of suspects will likely be long. Maltese TV reported that she filed a police report two weeks before her death, claiming that she was receiving threats. The Times of Malta reports that the country has been hit with a series of unsolved car bombs in recent years, thought to be the work of criminal gangs. High-profile violence is not new to Malta; the country experienced a wave of political bombings and shootings in the 1980s.